Funerals are the moments when people who are still alive, carry the dead to the grave. To make the event more comforting, it would be great if you consider inviting many people to the event. You can use a funeral pamphlet template to do that. 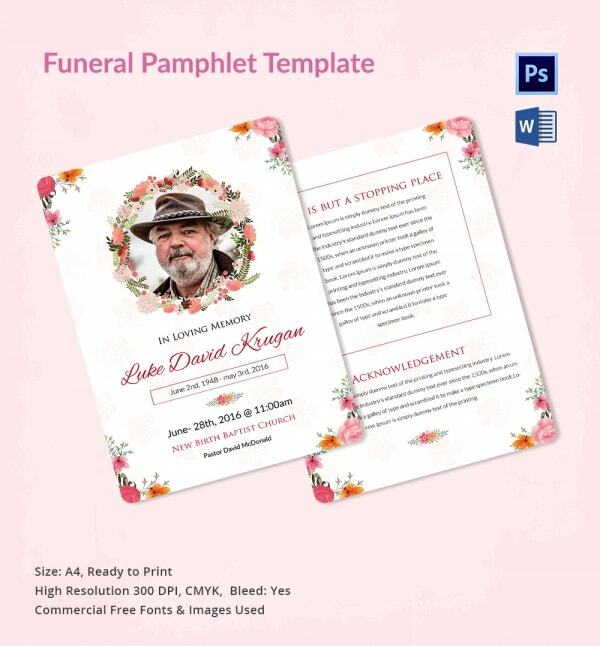 By issuing the Funeral Program Template to the people who were close to the fallen soul, you will surely see a great turnout of people coming to comfort you. You can use this template to write a short obituary and a comforting message to those who have lost their loved ones. The template is editable, uses commercial free fonts, and is easy to edit. 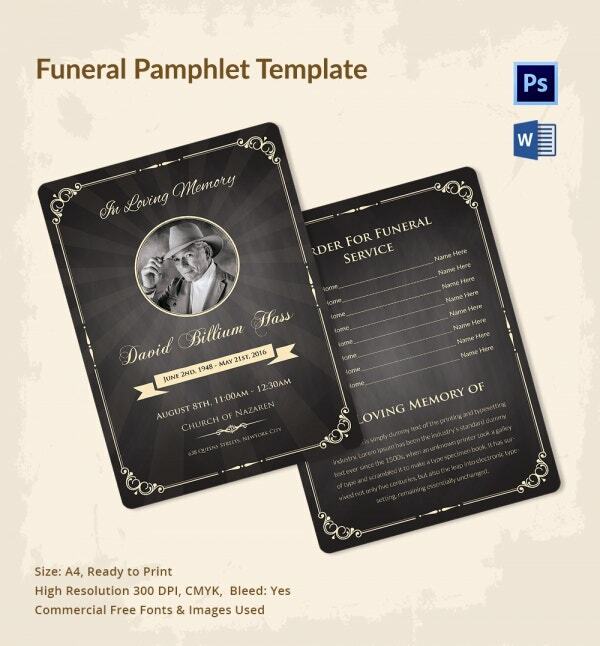 If you want a template that you can use for orders of funeral service, you can use this pamphlet. 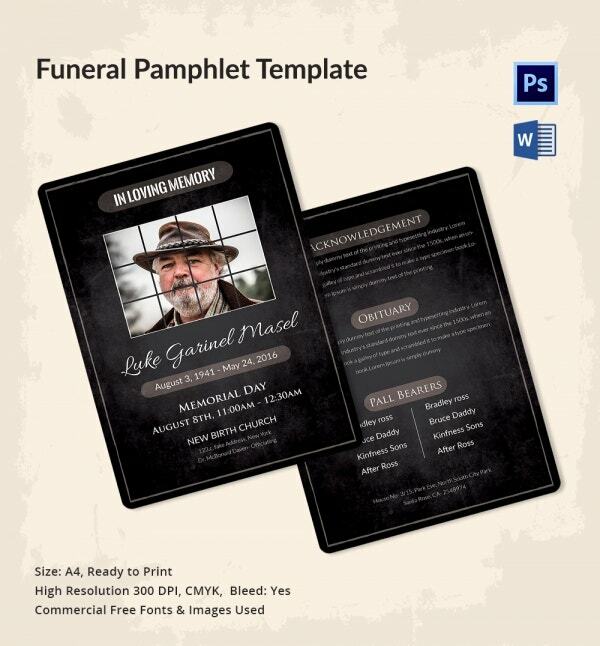 Moreover, the funeral service brochure template has enough space to allow you to write a short obituary about the dead. 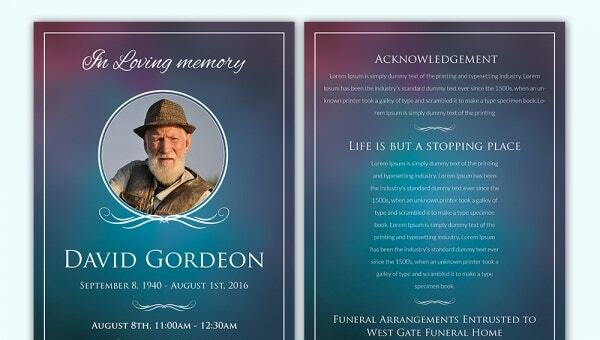 The purpose of this template is to communicate and invite people to come and be a part of the funeral. The more pamphlets you send, more people will come to the event. The template is of a high quality and you can edit it in Microsoft Office Word or Adobe Photoshop. The model features commercial free fonts and an image that you can replace. If you want a template that you can pick straight out of the box and use, this one is for you. The template is easy to edit, supports bleed, and comes with replaceable images. 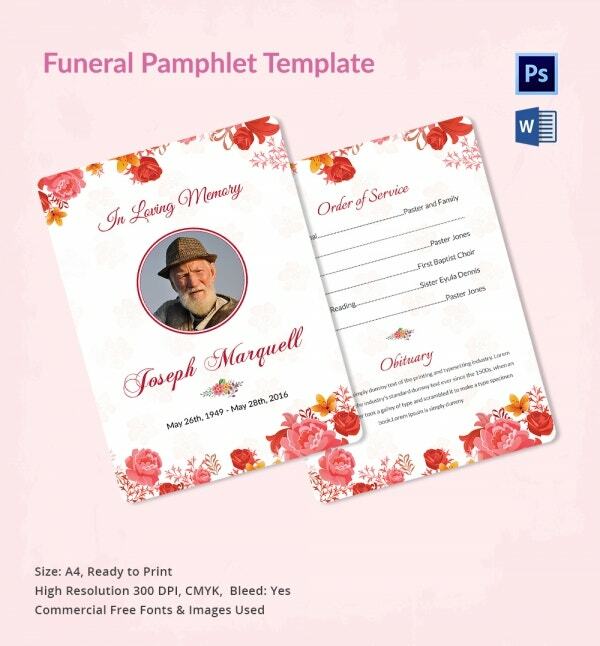 > Who should use the Funeral Pamphlet Templates? Funeral planners can use this template to write a short obituary about the deceased. Overall, the motive of the planner is to make sure that as many people as possible take part in the funeral event. By sharing the funeral pamphlets with as many people as people, you are not only able to create awareness about the death of a loved one, but also get many people involved in the funeral service. Family members of a dead can use the templates too. In any case, using the templates is the only best way to write and spread the message about the death of a loved one. The pamphlet templates are a powerful communication tool that you can use to inform people about the death of a loved one. It is the cheapest means of communication between the sender and a group of recipients thereof. The piece of paper is usually easy to fill and there is less content to put on the sides, so it shouldn’t take you long to customize this piece of paper. Of course, you could create this template from scratch, but the problem is that it is going to take long. Therefore, it would be best if you download the premium template instead. 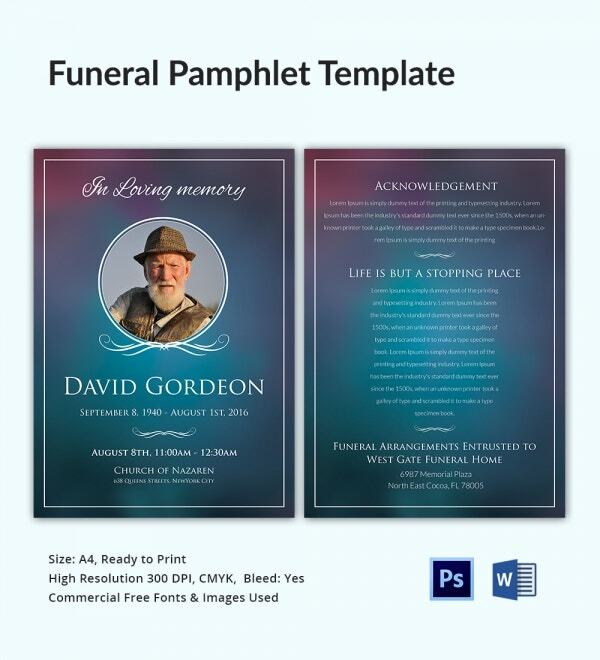 While it is possible to create a funeral invitation template from, it would be best if you consider downloading the template instead. It is important to understand that the premium templates are cheap, cheaper than what you would actually spend if you hire someone else to help you create the theme.